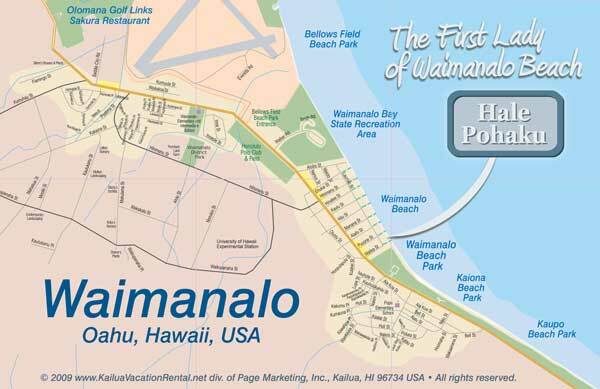 Outstanding among Hawaii vacation rentals, Hale Pohaku is conveniently located, though in a country setting. Within walking distance are 7-11, McDonald's, Kaneke's plate lunches (local foods), pizza, groceries, playground,and a Hawaiian handicrafts and art gallery. Waikiki and downtown Honolulu are a scenic 30-minute drive away. 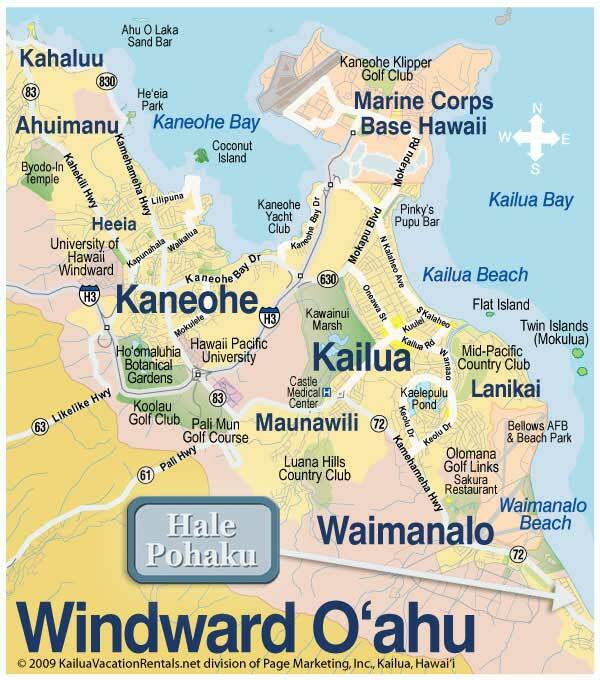 Within a 15-minute drive are golf courses, tennis courts, horseback riding, scuba diving shops, windsurfing rentals.